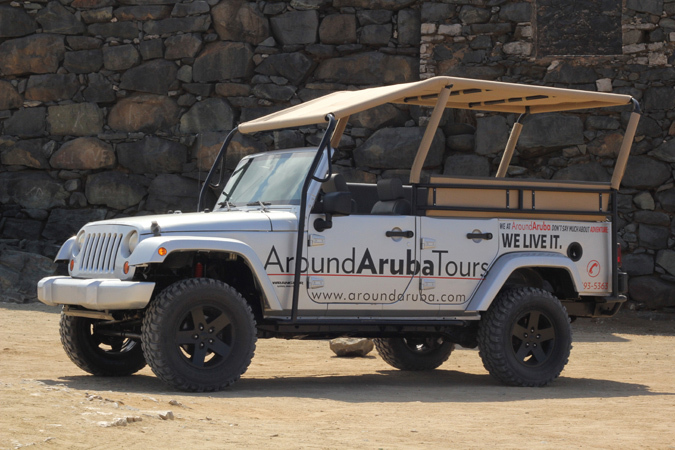 Aruba hides numerous attractions in its depths. 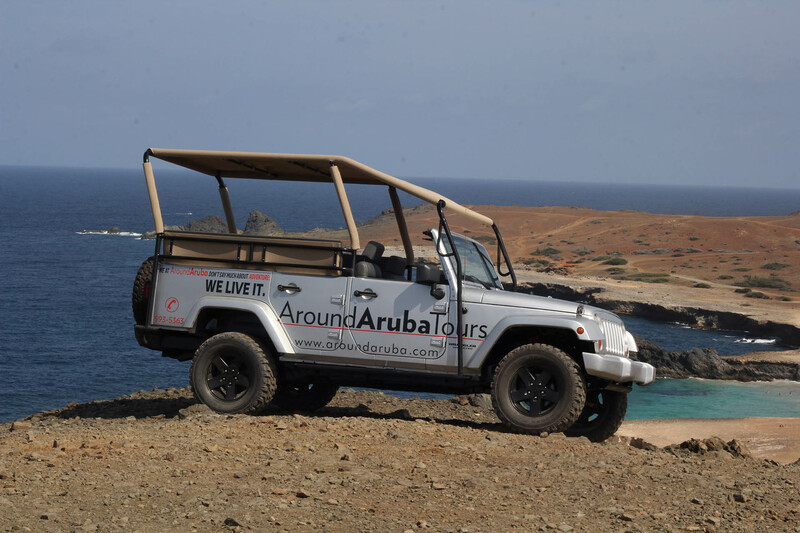 Around Aruba lets you explore the hidden gems and enjoy fun-filled adventures in Aruba with our tailored island tour. 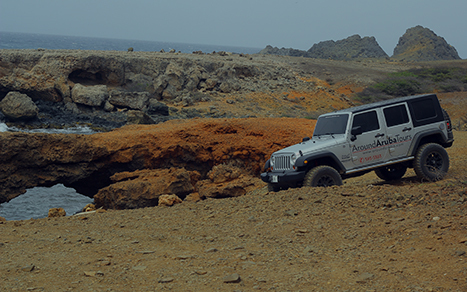 Get a thrill of the safari with our jeep tours to Natural Pool and other landmarks. 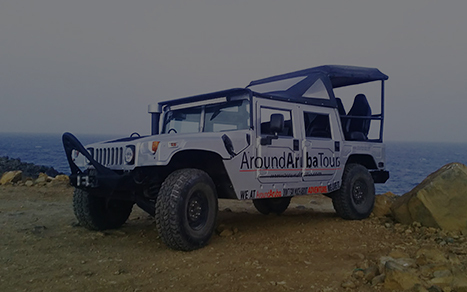 This includes free entrance to the Arikok National Park along with a driver/guide to enlighten you about the significant places and traditions around the place. Customize your travel plans around the Natural Bridge, Bushiribana Gold Ruins, Casibari, Ayo Rock Formation and other such famous landmarks. Or do you have other plans in mind? Just let us know and we will work with you to provide you with a customized tour. 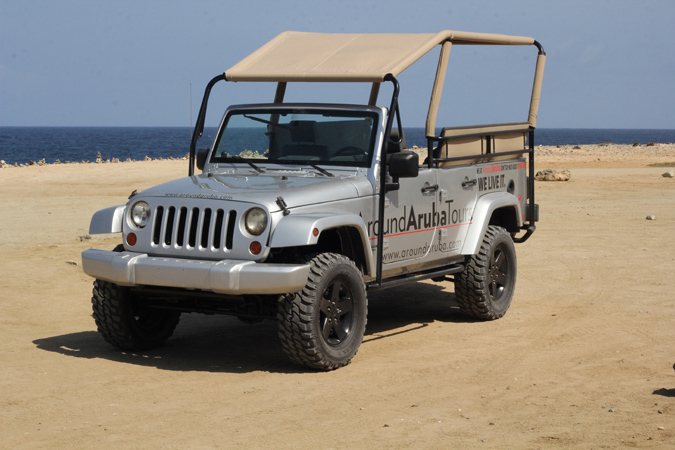 Avail the benefits of pickup and drop off facilities, non-alcoholic drinks, snorkel equipment and fresh towels, for 4 passengers in the luxurious 6-seated Jeep Wrangler. We took the four hour UTV tour and our tour guide Toto was amazing, "DUSHI"! I can't say enough about how much fun we had and how beautiful the scenery was. 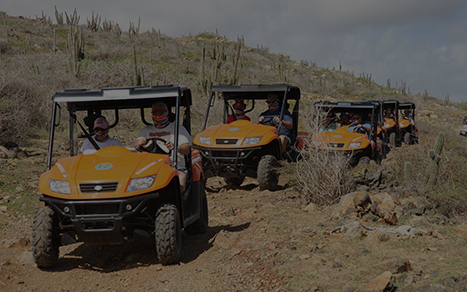 Starting at the animal sanctuary and ending at the natural pool and such fun, easy off-roading. 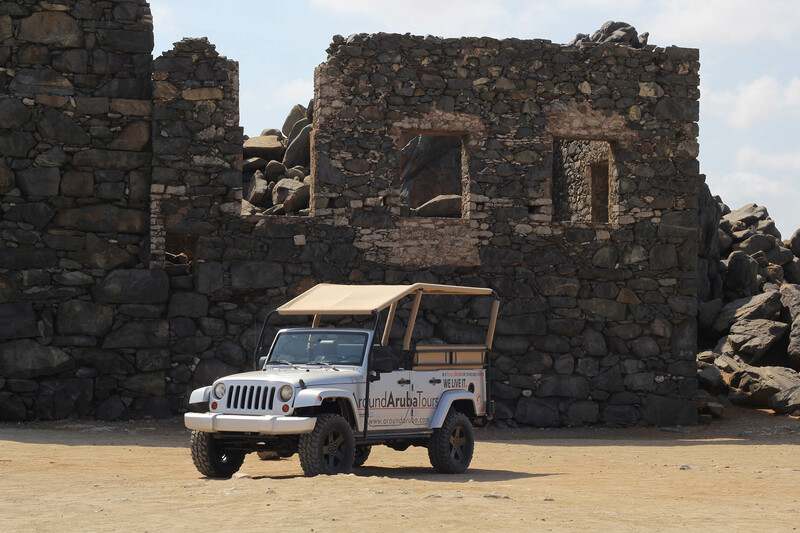 . .
Sergio's jeep tour was the highlight and most memorable part of our whole vacation! Family of 4, scheduled 4 hours, but Sergio was able to take us for an extra half-hour. We spent a little longer swimming at the Natural pool and so that extra . . . Private Jeep Tour With Sergio! Our family of four with two older teen boys loved this UTV trip. The boys could drive and it was quite the adventure. Toto and Goucho and the rest of the staff the best. So friendly, helpful and informative. This is not for the weak stomach as driving. 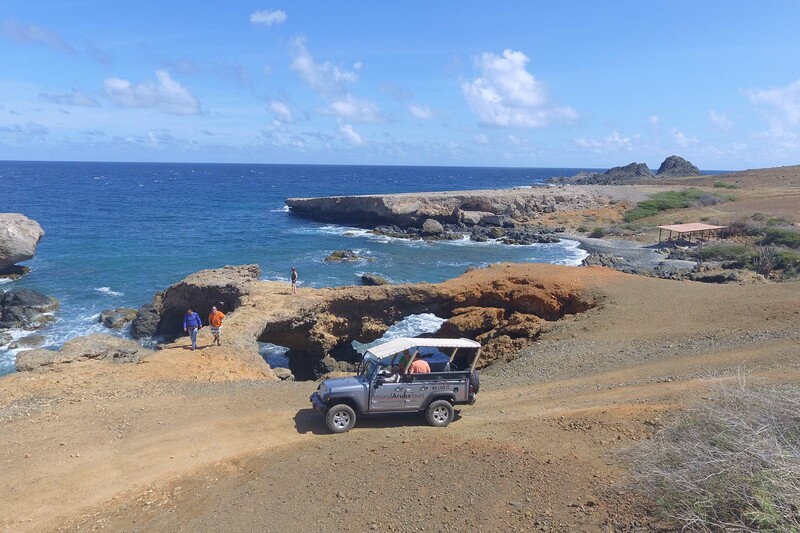 . .
We did a jeep tour of the national park and got to see Natural Pool which was awesome and got to see Natural Bridge or whatever was left of it after the damage done a few years ago. Our tour guide who is awesome was Elias to the. . .
Staff were terrific; tour was fun and informative. Toto was our tour guide; he was fun, friendly, and very knowledgeable. 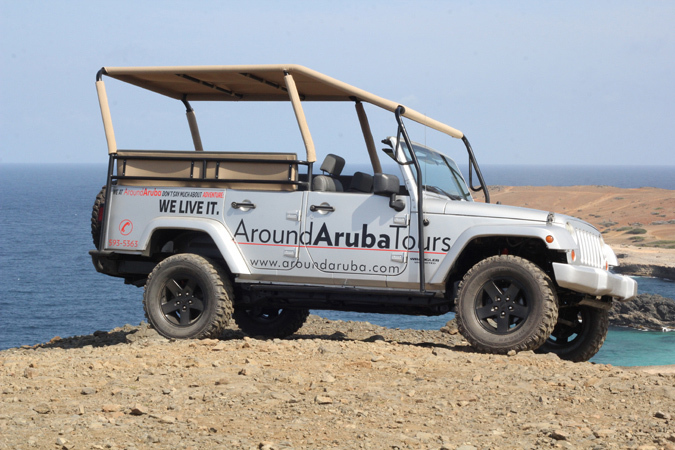 Great way to see the north side of Aruba and national park. We spent a little longer swimming at the Natural pool have a blast. 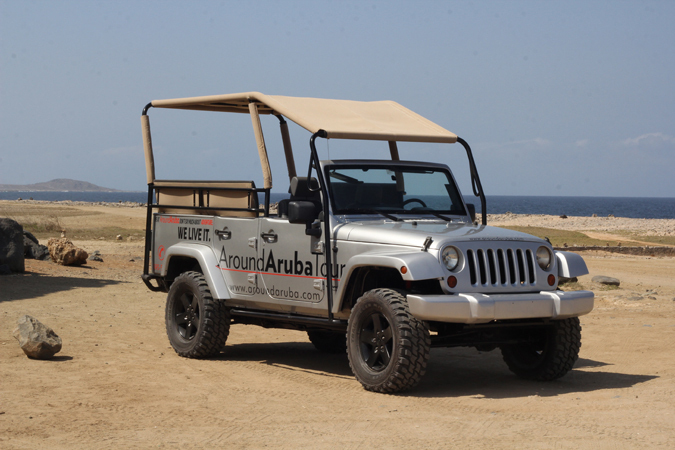 . .
Around Aruba Tour was an awesome company. The tour guides were personal and treated you with great respect. You can tell that the tour guides love their job. Toto and Marlin were excellent guides on our trip. They even work. 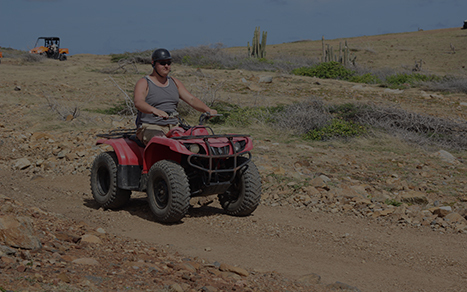 . .
What an amazing time and the best way to get to areas of the island you wouldn't normally be able to get to! If you wear contacts, I highly recommend goggles, or wrap around glasses to protect your eyes from the dust. You will get dirty, but you will. 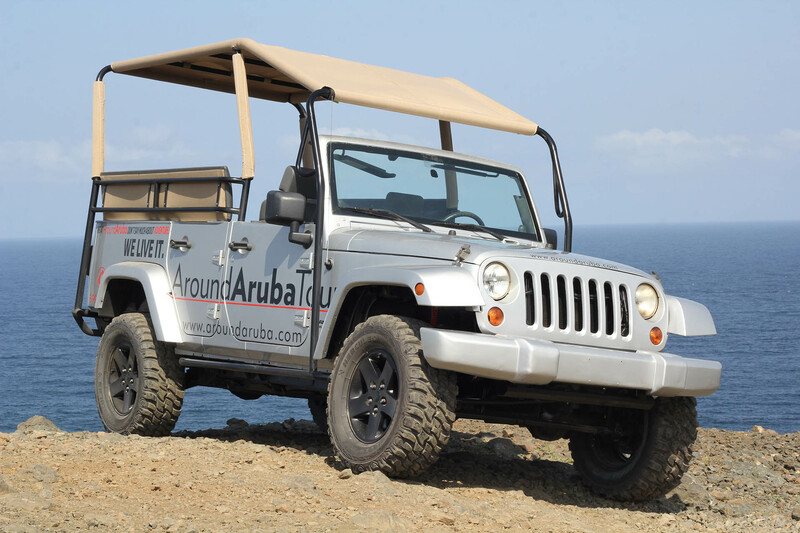 . .
Must Do While Visiting Aruba! Please enter a valid email address. Congratulations! You are successfully subscribed.